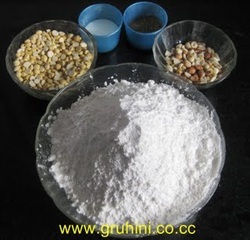 Take big bowl and mix Rice powder. 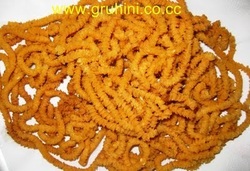 phalli powder and roasted chana dal powder well. Heat 1 table spoon ghee and add to the mixture and mix well. 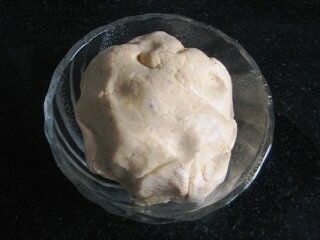 To it add salt, mirchi powder, ajwain, til and sufficient water, knead well and make dough.